Phonology and Phonetics are two different fields in the science of linguistics that study how people make sounds and pronounce words. Phonology (and phonetics) should be interesting because knowing how the French make their sounds could help French language learners across the globe acheive a pronunciation “non-marquée“, that perfect pronunciation. The whole reason people have foreign accents in the first place is because their mouth cannot adjust to the correct ways of creating certain phonemes! In this extensive article, I will introduce many cool topics, for example: Did you know that in French, syllables have the tendency to end with a vowel? This is called open syllabication. While in English, most of our words like to end with a consonant (closed syllables). First I will present the French phonetic alphabet and all the sounds that French contains (a few of them do not exist in English), so that you can leave here pronouncing words like a champ. Then, I’ll go into depth with some differences between English and French pronunciation. We’ll touch upon why it sounds like French speakers are “singing” when they speak, and where do English speakers have problems with pronunciation. 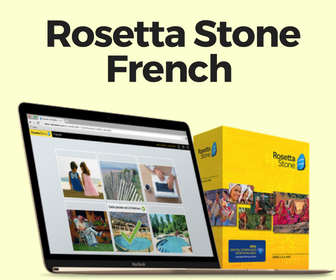 It would help to have a good foundation in French to understand some of the examples. What is a phonetic alphabet and why is it important? Well French and English are two types of “alphabetic” languages, meaning we use combinations of letters to create words and sounds. Now, you may be saying “no duh”, but I specify this because there are other types of languages; take Hebrew, a syllabic language where you pronounce the syllables in the same manner as what is written on the paper. Linguists use a phonetic alphabet because a word’s spelling is ambiguous. We as native speakers implicitly know the “rules” associated with pronouncing a word, but foreign learners need to familiarize themselves with the new system. For example, the words: pair, bear and share are all composed of the same vowel sound phonetically, BUT they are spelt completely differently. What about words like phone, fish, enough? Where all the sounds constitute an /f/ but are spelt completely differently. In English, spelling is not as transparent as language such as Italian. French is the same way. All the following words start with the letter’s “CA“, but when you say them out loud, pay attention to how each one is different. Each one sounded different (if you’re a native speaker of English at least). Cause starts off with “kuah”, camp sounds like “kaam”, castle has a more distinct “kaah” to it, and cave begins with something equivalent to “kay”. By using a phonetic alphabet, the differences in sounds are clear even though the word’s spelling is not. See how by using the phonetic alphabet, you realize all of the sounds are different despite the same spelling! Now pay attention, here comes the French phonetic alphabet. The French Phonetic Alphabet consists of 37 total sounds. The IPA symbol is what linguists use to mark a certain sound. The common spelling column indicates typically what letters form the sound in a French word. Finally, I provide some examples of French words that use the IPA symbol (if you know how to pronounce the words, then you’ll be able to know the sounds). With this phonetic alphabet, you can mosey on over to my next article: French Phonetic Alphabet Practice Exercises. This may seem daunting at first, but just try to pronounce the words and you’ll quickly realize the sound each phonème is supposed to represent. Vowels are sounds produced without any obstruction to the air exiting the mouth. These are sometimes hard to distinguish to the untrained ear, especially the phonemes /y/ versus /u/ and /œ/ versus /ø/. La voyelle /œ̃/ est typiquement prononcée avec les lèvres plus arrondies que pour /ẽ/ MAIS chez les Parisiens cette voyelle a été remplacée par son homologue non-arrondie /ẽ/. Par ailleurs, cette voyelle, /œ̃/, a une fréquence d’occurrence très faible en français. On la retrouve dans une vingtaine de mots donc cela est pourquoi cette voyelle a tendance à disparaître au profit de son partenaire. A semi-vowel is produced by a rapid, upward movement of the tongue during pronunciation. A consonant is a “brutal” sound caused by an obstruction in the mouth during exhalation. A remarking different aspect to French is the utilization of liaisons. Saying deux jours in French does not merit a liaison, but deux ans (/dø‿zɑ̃/) instantly has that /z/ consonant added to connect the words. Another thing is one must remember that French vowels can be classified as either oral or nasal. Most European languages do not need to take into account the fact that air exits both the mouth and the nose. When the velum is lowered throughout the pronunciation of a vowel, this allows air to escape freely through both the mouth and the nose, thus this vowel is said to be “nasal”. French has four major nasal vowels as already discussed. Just a few notes on French phonetics where English speakers have some trouble: the [R] consonant in French comes more from the bottom of your throat (sounding like “rrrruh”) Anglophones always have difficulty with this – our R’s are a lot more rounded. The [p] consonant is not “explosive” in French as it is in English. The [l] consonant is not elongated in French as it is in English. If you listened to a French person speak English and they said the word “love”, or “atlantic” for example, they won’t elongate the [l]. Why French sounds as if people are “singing” when they speak? It’s because when a sentence is spoken in French, no single word receives a huge amount of stress. The words flow. This is important. In English, we have a tendency to stress many consonants and different vowels. In speaking standard French, however, you have to realize that French is characterized by greater muscular tension in comparison to English. For example, the lips in pronouncing English are relatively relaxed, but in French they are more tense. Overemphasize the movements of muscles around the mouth and lips can become some pretty spot on pronunciation. For example, the vowel /i/ (in words like dit, vite, and grise), forces the corners of your mouth to stretch apart much more vigorously than in the case of English vowels found in tea, meet, and please. In addition, the lips are increasingly more rounded in the French /u/ vowel… look at the words coup, toute, and rouge in comparison to English words like toot or spoon. These noticeable differences in spoken French and spoken English demonstrate the individual factors involved in pronouncing French vowels. My French teacher noted that French vowels are “pure”, they aren’t as long as they are in English and they do not change tonality midway during pronunciation (with the exception of semi-vowels). English vowels change how they sound depending on what other vowels are present within the sentence being stress. More notes on stress in French phonology, courtesy of Wikipedia. The difference between stressed and unstressed syllables in French is less marked than in English. Vowels in unstressed syllables keep their full quality, giving rise to a syllable-timed rhythm (see Isochrony). Moreover, words lose their stress to varying degrees when pronounced in phrases and sentences. In general, only the last word in a phonological phrase retains its full grammatical stress (on its last syllable, unless this is a schwa). – Wikipedia. Well there you go. French phonology and a bit of phonetics in a nutshell. If you read this far, congratulations. I hope this helps a bit. Of course, there is tons of additional information I have not covered here, if you would to go more in depth, I suggest this book: Bien Entendu par Albert Valdman. Any comments can be left below without any special subscription required. You can also create a print-ready file and use it for your own personal purposes by hitting the green “print” button to the left or bottom of your screen. Valdman, A. (1993). Bien Entendu! : Introduction à la prononciation française. Upper Saddle River, NJ: Prentice Hall. Your blog has been very educative to me. I would like to use this as additional resource material for my students. Thank you. Merci mille fois! This has been so helpful. I hope it is alright that I plan to use this in a school project I am doing- this has been the most extensive and yet easy to follow explanation I could find. I forgot what I read about that other than that it is simply better sounding. Can anyone offer up any other details? To answer your question the “l'” in “si l’on” is not “unnecessary”. It follows the rule of two verbs following each other cannot have a vowel at the end of the first verb facing a vowel at the beginning of the second verb. So, in the same manner we say “toN Oreille” and not “tA Oreille”, you need an “l'” to make the ‘liaison” between words. This “l'” also shows your level of language. Note that a French native/speaker who does not place this “l'” and just goes “si on” shows a poor level of language, and undistinguished manner. This is a well simplified work on French phonetics. Kindly make same available in French version. 2. “BUT they are spelt completely differently” I think it is supposed to be “spelled”. Other than those two items, I found the information to be very helpful. Thanks. Hi everybody. I am a French French guy who lives in Paris area, near Versailles, and am very interested in linguistics, natural language processing, acoustics and music. I am surprised to see that you associate the final syllable of “partirai” with the /e/ vowel sound (like fée, été, danser). For me, both “partirai” and “partirais” sound the same, and the “ai” sound in the end is like a “è” (/ɛ/), not like a “é” (/e/). The “ai” in “partirai” used to be pronounced like a /e/ a long time ago, but the French language is constantly evolving. In France, there are also some minor geographic variations of the pronunciation, although they tend to disappear. We can perfectly understand the people there, unlike some Canadian people, who have a strong accent, and use a lot of nasal sounds and a lot of Canadian expressions. If you talk to someone from Marseille about French vowels. you will certainly argue with him, since most people there almost always say /ɛ/ instead of /e/ and /e/ instead of /ɛ/. My great-grand-father (1889-1990), a very educated person with an exceptional memory, used to live in Marseille, and often complained about it. Although I’ve practiced music regularly since 1979 and have a rather good ear, I cannot hear any difference between /ɛ̃/ and /œ̃/. I know from my mom that some 50 years ago, educated people had 2 or 3 distinct pronunciations for these. I remember hearing my mother say, about 30 years ago, that she had heard someone in the street making the distinction between /ɛ̃/ and /œ̃/ when speaking. She used to work as a qualified Latin, Greek and French teacher, and was -happily- surprised to notice that at that time. Now, those phonemes are used interchangeably. I don’t know anybody who pronounces them differently, and believe that the vast majority of French people don’t consider them as distinct sounds. Maybe only a few senile members of Académie Française. Now, you can certainly consider them as allophones in modern French. I am a french Canadian, so I speak french as my first language. As you said, our french can be different from yours. There is BIG difference for us between ”partirai” and ”partirais”. We do pronounce the first one as /e/ . Just the same as ”fée”. I just wanted to add on your text because one funny thing that I noticed, is most of us, french Canadians have no difficulty at all understanding what you french from France say. We may have trouble with some of your expressions, but we still understand the words you say. On the opposite, we have to try and fake your accent to be even aknowledged that we’re speaking french when we are speaking to you. Most quebecers can also grab a bit of an accent when they travele in France for a while, while a french from France will only lose a tiny bit of his accent, not a lot, we will always notice he’s an European. I have just started learning to transcribe recently,and was wondering if you could help me study phonetics for an exam, with resources and corrections…. I m a total beginner at learning french, so basically I m A1. My native language is romanian and for me its a little easier to understand texts from different resources. But my biggest problem is that when some one is trying to speak with me, i cant understand almost nothing, even if i know some wards, i cant hear them, so strange. And also i find that they speak really fast. I live in Bruxelles since 1 year, but my job didint require to speak french but I m felling really stupid to not learn this language. What I do now ? Learning french at school, 2 times peer week, and at home using Duolingo, Lingvist and tried TV 5 monde A1 audio, but i find it to hard for me. I really want to improve my french audio comprehension but I dont know what do do….. There is only one way to improve in oral language: it is to listen to the radio all of the time and accompany the listening with reading. I used this strategy to prepare myself for the exam of Proficiency in English. I did not manage to achieve the intended certificate but I have been awarded a C1 level in the Council of Europe. Good luck with your french! Why isn’t the sound produced by “il” mentioned? Please check your article French Phonetics, the word acheive should be spelled achieve. I will like to learn too from you what you learned from there. I also wish if the owner of this site could create a WhatsApp group for all who follows his lesson it will be good . Salut Anonymous! I’m actually studying How to teach French as a foreign language and have to do an oral presentation to a oral presentation in May. Could you share the work you did about that with be? I pretty sure it would be very helpful! Thank you, and congratulations to John for this web site!! I’m French, I currently study linguistics at university ! I’m a little confused, I thought vin and un had the same nasal sound. If so there would only be 3 French nasal sounds. This is a legitimate question. Many francophones have merged the two together and do not make the distinction between the /œ̃/ nasal and the /ɛ̃/ nasal. If that’s the case then you’d pronounce the words “brun” (brown) and “brin” (spring) in the same manner. Don’t believe me? Check out French phonology on wikipedia! Hope this helps, thanks for reading! Maybe I should place ^ into the article. 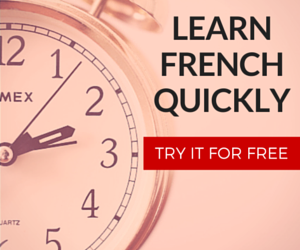 Excellent and very helpful to me…a fluenz french learning that is in the very beginning of my learning. Thank you! Love your site too. Merci. Pas de problème! I’m glad you enjoy everything. Thank you for the comment! I appreciate your visit. I’m actually taking a 400-level phonology course during Spring 2013, so I shall be updating this and making another post relate to this in the near future.